Women Wednesday is a weekly MIKEDROPSPORTS column that puts the spotlight on influential and important women in sports. 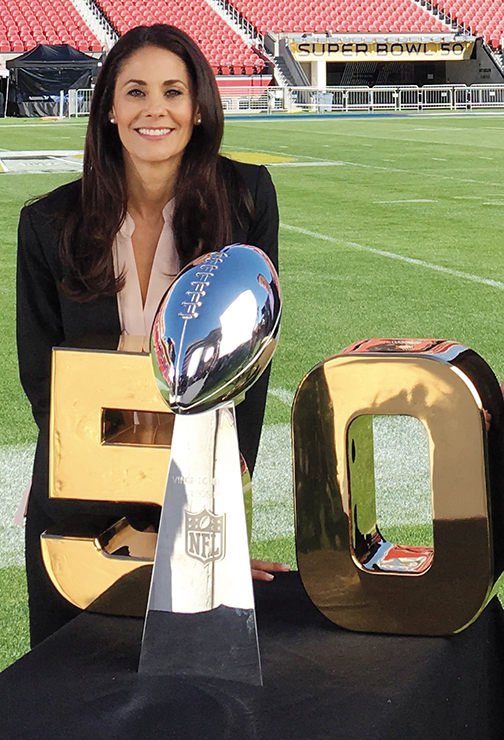 Continuing our trend this week of keeping the daily themes to the Super Bowl theme, we spotlight a woman who will have a big role in Super Bowl LIII – CBS’ Tracey Wolfson. For the third time in her career (which began at CBS back in 1997), she will be the sideline reporter for the Super Bowl. 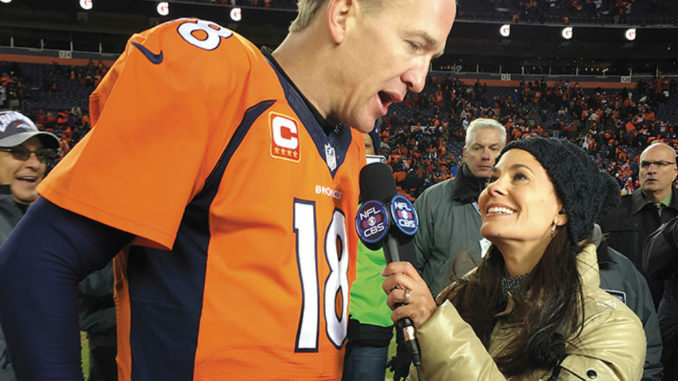 Tracy Wolfson was one of the sideline reports during Super Bowl XLVII during Ravens vs 49ers. And most recently, she was part of the coverage in 2016. She was the one who got the final on-field interview with Peyton Manning right after his final game, after Broncos beat the Panthers in Super Bowl 50 (not including the podium and the official post game press). All eyes and ears are on Tony Romo and his incredible commentary this season and of course the legendary Jim Nantz from (my) Marlboro High School. But Tracy Wolfson is an equally valuable member of this team who has the impossible task of prying information out of Bill Belichick and the always secretive New England Patriots sideline. Tracy has been with CBS for a long time and most of her recognizable work has revolved around football. Before joining the NFL team, she worked the SEC games on Saturdays. She has called Army-Navy from the sideline. For college basketball, she was the on floor reporter during the 2016 and 2017 Men’s National Championship game. Not many reporters, period, can say they have worked a Super Bowl AND a Final Four. This is a huge accomplishment for any reporter, male or female. And she can say she has worked multiple of each event. In addition to the traditional football and basketball events, she has also worked US Open tennis tournament, auto racing, ice skating, gymnastics, track and field, and rodeo. On the subject of women Wednesday, and empowering women in sports, Tracy is one of the host of “We Need to Talk”, an all-womens sports show that airs weekly on CBS Sports Network. Shout out to Tracy Wolfson, who will be a key part of Sunday’s Super Bowl 53 coverage. If there is a woman that you feel deserves to be recognized and put in the spotlight, you can let us know here and we would love to hear from you. Make sure to check out our previous Women Wednesday articles. Mike is a member of the FWAA (Football Writers Association of America) and an alum of the University of Cincinnati.